Fort Knox, Ky.- One of Army Chief of Staff Gen. Mark A. Milley's recent top initiatives is the permanent establishment of Security Force Assistance Brigades to advise and assist partner nations with their security force capabilities. With the first of six such planned brigades quickly approaching its implementation date of October 2017, officials at the U.S. Army Human Resources Command say they are on track to reaching the required 529 Soldiers of the all-volunteer force. As key leaders and support personnel already arriving to Fort Benning, Georgia begin establishing the needed infrastructure, the plan now is for personnel in HRC's Enlisted and Officer Personnel Management Divisions to round out the unit by screening potential candidates and making the necessary outreach to engage possible volunteers. "Our EP (Enlisted Personnel) and OP (Officer Personnel) divisions have been busy identifying Soldiers that meet all of the stringent requirements outlined by Gen. Milley, and then making the necessary phone calls to pitch the SFAB to them," said Lt. Col. Corey Brunkow, HRC Enlisted Personnel Management Division Infantry Branch Chief. "We're looking for branch qualified noncommissioned officers. That is, we're looking for former squad leaders as Staff Sergeants, and former platoon sergeants as a Sgt. 1st Class to fill advisor roles which will broaden their horizons and experiences in the Army," he said. Basic qualifications include an 85 or better Defense Language Aptitude Battery for primary advisors, a minimum of 240 or 70 points in each event on the APFT, possess a secret security clearance, and maintain a deployable status. In addition, a Soldiers Physical Profile Serial System, or PULHES as it is commonly referred to as, must be 111221 with only a minor inability in the hearing and ears, and eyes portion. "As far as recruitment, the difficulty now remains in some of the uncertainty of the career path for a lot of NCO's," said Brunkow. "These specific assignments with the SFAB are not codified in DA PAM 600-25, the NCO Career Model, so that leaves some uncertainty in the minds of some of the eligible Soldiers as to whether this would be a benefit to their careers or not. "To that I would say that this has the highest visibility of the Chief of Staff of the Army and the highest levels of Army leadership. They are embedded in the success of this mission," he said. Another hindrance to SFAB recruitment has been credibility in the field to those familiar with the prior Army initiatives like Transition Teams and the Afghanistan-Pakistan Hands program. Many in the field perceive past service in these types of formations to have been time away from their primary career field and potentially an obstacle to promotion. Maj. Nick Clemente, HRC G3/5 Readiness Branch, strategic planner, responded, "Army leaders at the highest levels are committed to making the SFABs a premier assignment. They understand the negative association with Transition Teams and the AFPAK Hands program and are taking proactive steps to ensure that SFABs are different." "Our senior leaders are committed to ensuring that each and every Soldier who serves in a SFAB is trained, ready, and properly utilized to provide a critical function to the nation. Over time, I expect that we will see positive promotion trends for officers and NCOs who excel during their SFAB tour." 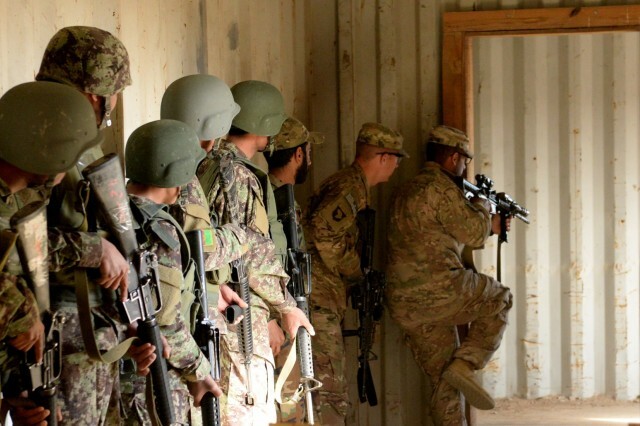 Potential volunteers are also having difficulty in distinguishing between the new SFAB formation and the Security Force Assistance Teams (SFAT) the Army deployed to both Iraq and Afghanistan. 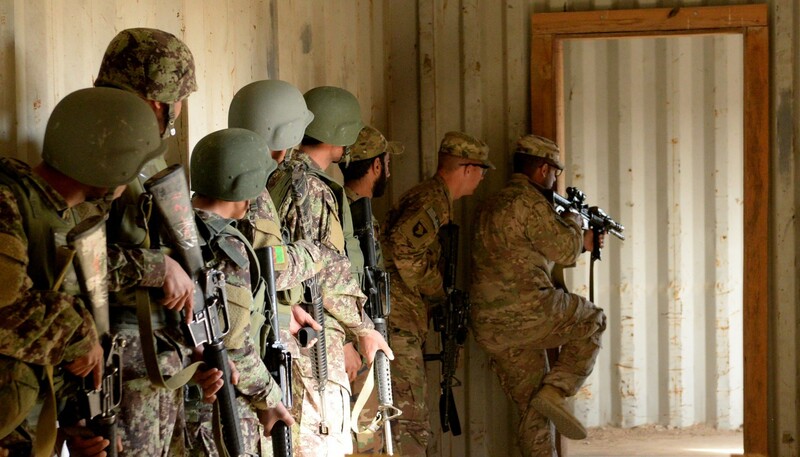 Previously, SFATs were created by taking a brigade combat team and reconfiguring it for an advise and assist mission. The Army augmented the unit with experienced leaders who would act as advisors while most of the unit's junior Soldiers stayed at home station. "The previous method of providing advise and assist capability cost the Army decisive action readiness," Clemente said. "The creation of SFABs is intended to help alleviate this challenge by providing a purpose built advise and assist force while freeing up our BCTs to be ready for their primary mission." The Army currently has plans to put a total of six Security Force Assistance Brigades in place by the year 2024. With a focus on Infantry and Armor, five of those SFAB's will come from the Active component and one from the Army National Guard. While not currently included in the recruitment process, Active Guard and Reserve Soldiers serving with the Army Reserve are not necessarily excluded from volunteering for the SFAB's either. "The inclusion of AGR Soldiers definitely needs more study" said Clemente. "I think the challenge lies with the way units are authorized AGR Soldiers and the different pots of money that fund them. I would say that if there is a high enough interest level in addition to qualified candidates, then that certainly merits taking a closer look." Ultimately, the Army's newest unit is on track to begin training this fall despite tight timelines and demanding requirements. "We have been building an airplane in flight," Clemente said. "But the end result will provide a permanent advisory force that enhances Army readiness by reducing the demand on our BCTs to provide security force assistance capability." Soldiers interested in volunteering for a position with the Security Force Assistance Brigades should contact their career managers to see if they are eligible.